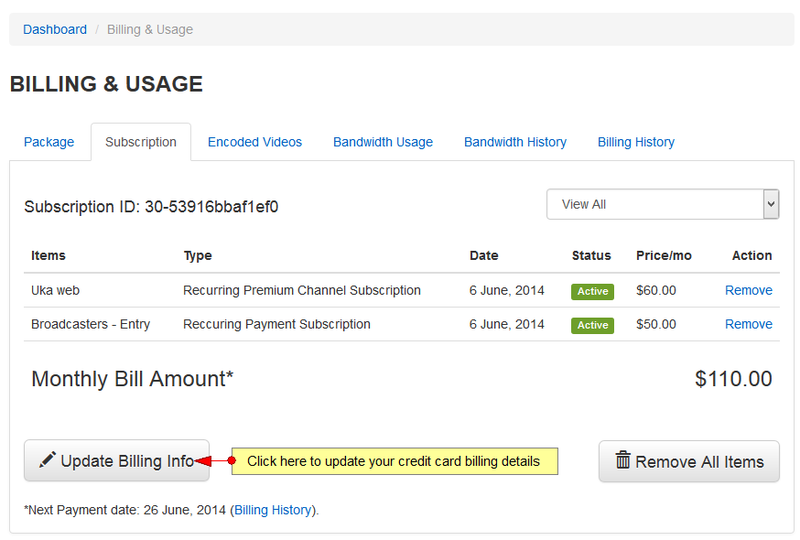 The users who have completed a recurring transaction on RevMediaTV, will have the option to change the Billing Info into their dashboard on Billing & Usage page. As detailed on the overlay window, the PayPal account cannot be changed and if the user wants to change the PayPal email address, then he will have to cancel the current subscription and after the subscription will end he can subscribe using the new PayPal email address. If the user wants to change the Credit Card that is attached to the PayPal account, then he can do that from the PayPal dashboard.